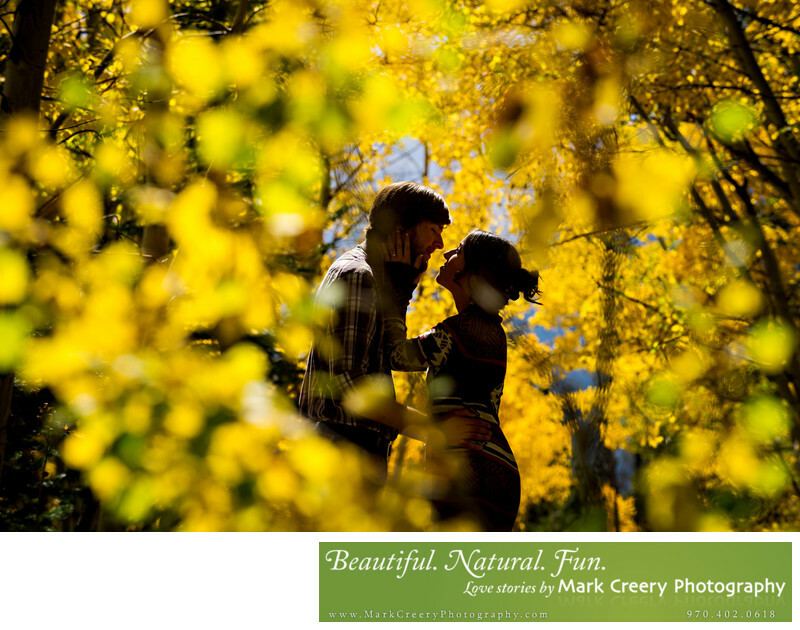 Fall is really an amazing time for engagement photography in Colorado. Not only does the weather get milder and more stable (read no thunderstorms! ), but the scenery takes on a life of its own. Colors change dramatically, and depending on where you go you can find aspens and other trees with leaves turning orange, yellow and red. Every year is different because of the temperatures, so timing the session can require constant vigilance. If you're looking for engagement photos in the great outdoors, I specialize in weaving your love story with the landscape to create a fun and adventurous experience. Pingree Park is located in Roosevelt National Forest, Colorado. Location: Roosevelt National Forest, 16321 Pingree Park Rd, Bellvue, CO 80512.